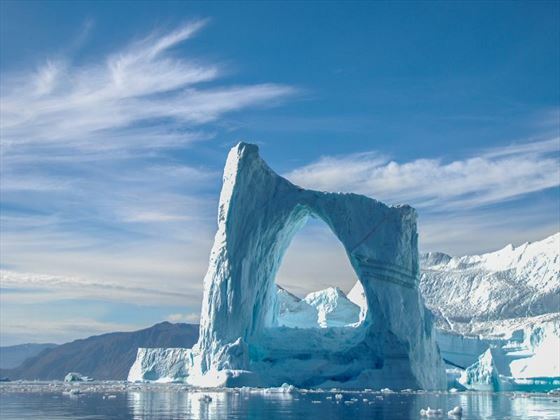 Journeying from Spitsbergen to Greenland, this Arctic Highlights tour enables you to experience the beauty of this region first-hand. From the remote yet stunning landscapes to the unforgettable wildlife, this really is a once in a lifetime adventure. 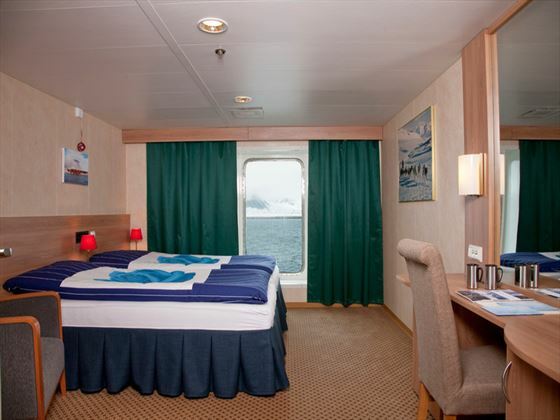 You’ll travel not just by ship but also via Zodiac and on foot, experiencing the contrasts and changes in the scenery as you travel through icy fjords and glaciers. 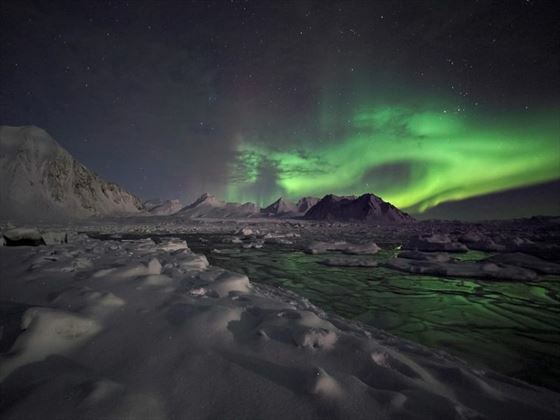 You’ll finally end in the ‘Land of Fire and Ice’ – Iceland. An Inuit village, unique wildlife and remote destinations are just some of the highlights on this truly unforgettable voyage through the Arctic. 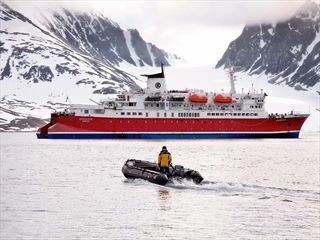 Begin your adventure in the afternoon when you will embark on the MS Expedition and depart from Longyearbyen in the evening. 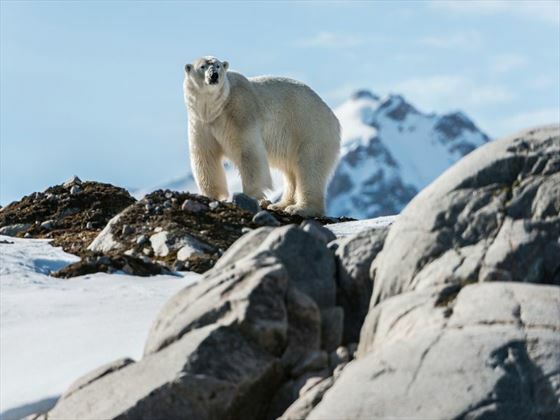 Explore a small portion of the western coast of Spitsbergen over the next three days, seeking out the wildlife and being inspired by the mountain scenery and glaciers. This is a really unique place with a compelling history and unbelievable landscapes – you’ll spend two days searching for polar bears hunting seals and you may also be able to see reindeer. There’ll also be time to visit some of the historic sites here. 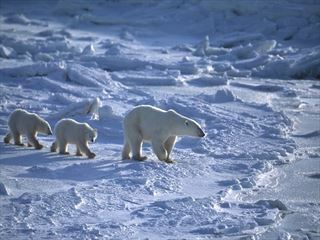 There’s no set itinerary so you can enjoy exploring freely and seeing the very best at Svalbard has to offer. 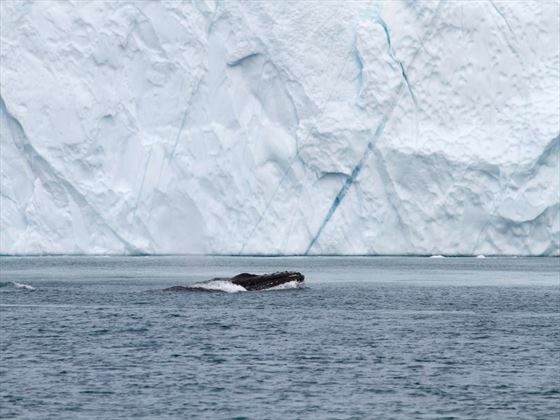 Journey through the icy waters of the Greenland Sea and keep an eye out for the whales which feed here in the summer months. See how many you can spot – from orca, humpback and minke whales, as well as dolphins. There will also be time for lectures from the staff so you can learn more about the history and geography of this area. These days will be spent exploring the fjord system of the Northeast Greenland National Park, including parts of Scorsbysund. Some of the best scenery in the world can be found here and there may be chance for you to see muskox grazing as you wander over the autumn tundra. 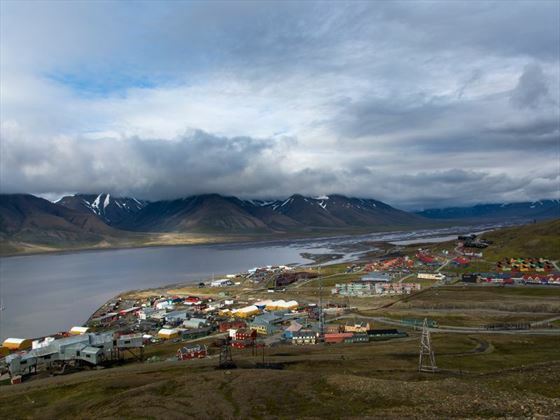 There will be a visit to the settlement of Ittoqqortoormiit where you’ll have the opportunity to see how the people here live. Enjoy a lecture series as you watch for whales in the icy waters, making your way back towards Iceland and the hot springs of Reykjavik. 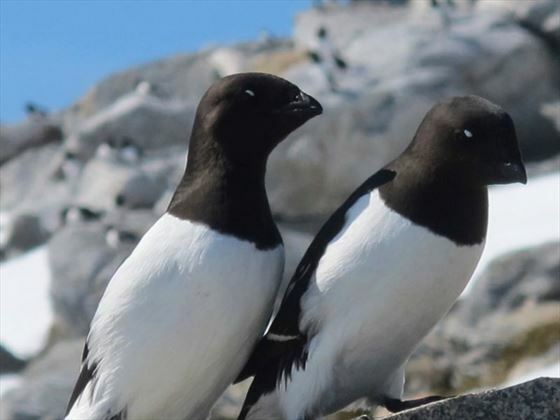 The birdlife along the way is fascinating, with a mix of guillemots, gannets, kittiwakes and fulmars among those which can be seen. After breakfast, disembark in Reykjavik – disembarkation is set for 8am at Miðbakki, just a short walk from downtown Reykjavik. Please do not book any flights before 12 noon on disembarkation day. You will be offered a transfer to the airport to meet your scheduled flight. 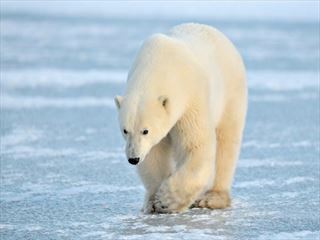 Explore the Norwegian Arctic onboard the MS Expedition and seek out the awe-inspiring scenery and wildlife found here, including the majestic Polar bear. 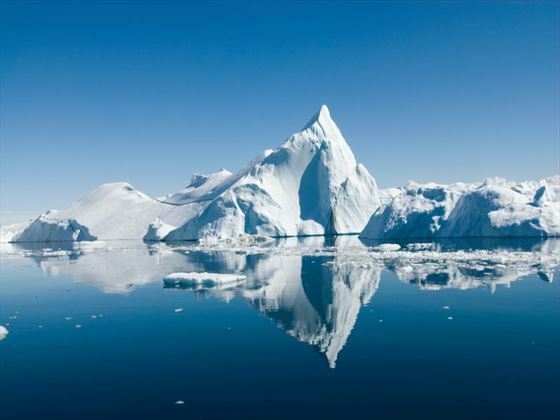 Following on from the Antarctic Classic Tour, this in-depth version explores more of this fascinating part of the world for an unforgettable experience in one of the lesser-explored regions that has enchanted explorers for decades.